Ort: Spedition Kunst- und Kulturverein e.V. Erlöse der Veranstaltung kommen der Geflüchtetenarbeit des Rat&Tat-Zentrums zugute. 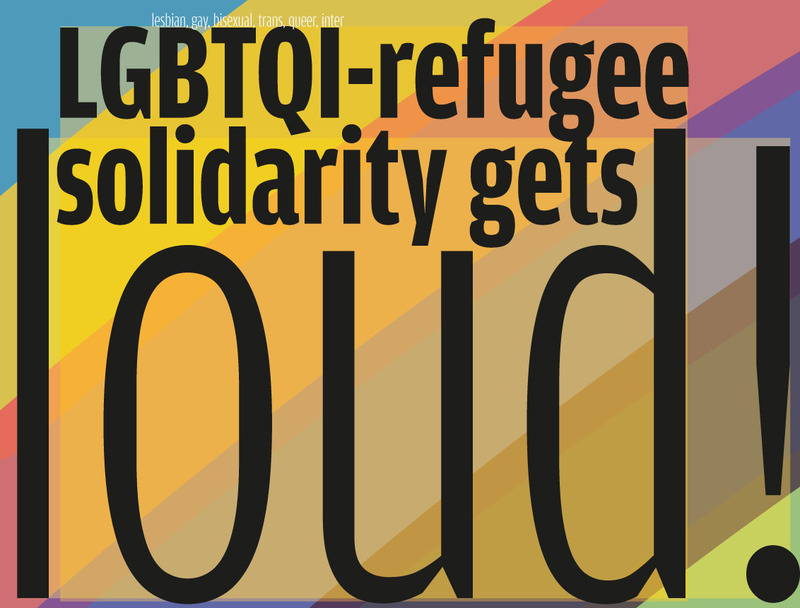 The group „lgbtqi-refugee solidarity“ organizes a solidarityparty on the 15.10., including a talkround between activist, a bellydance performance and a concert for the LGBTQI-refugee, -migrant and -people of colour group of the Rat&Tat-Zentrum. We are happy to welcome you there! Location: Spedition Kunst- und Kulturverein e.V. The money goes to the LGBTQI-refugee, -migrants and -people of colour group of the Rat&Tat-Zentrum.